← Guide to Modern Knitting – in 1939! 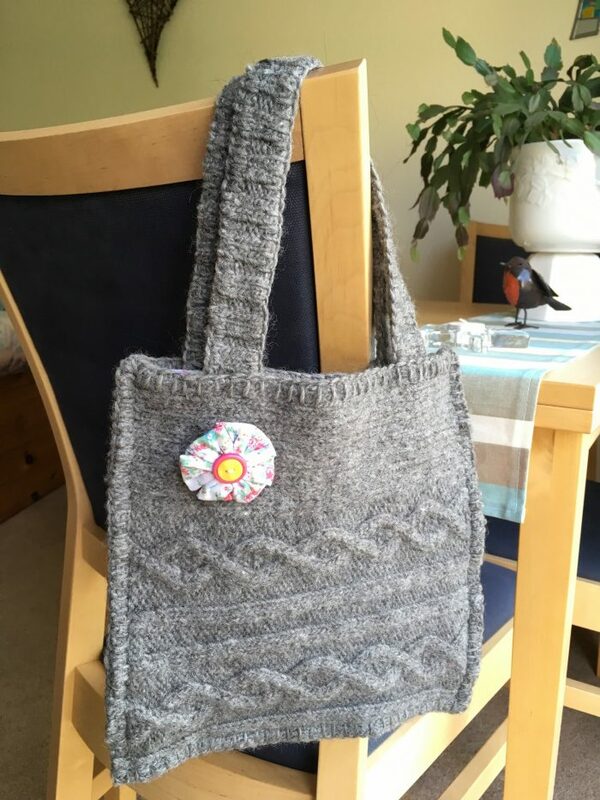 Continuing the principle of using up existing materials, I used the same cotton print to line the bag, and added a matching brooch using some buttons from The Tin. 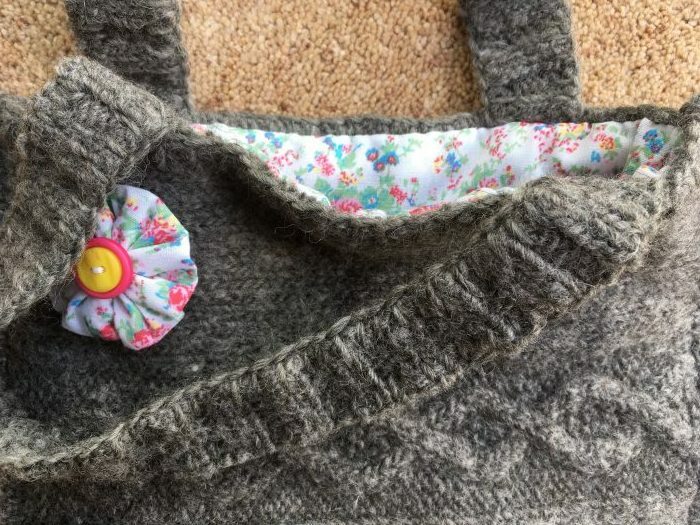 The length of the handles was determined by the fabric from the cardigan’s button bands, which (appropriately) I then edged with buttonhole stitch. Have you upcycled anything this week’? I’d love to hear about it! This entry was posted in Uncategorized and tagged cable, Felted, Finished object, knitting, Wool. Bookmark the permalink. 4 Responses to Upcycling again! No Brocki here – we’re too posh!! !